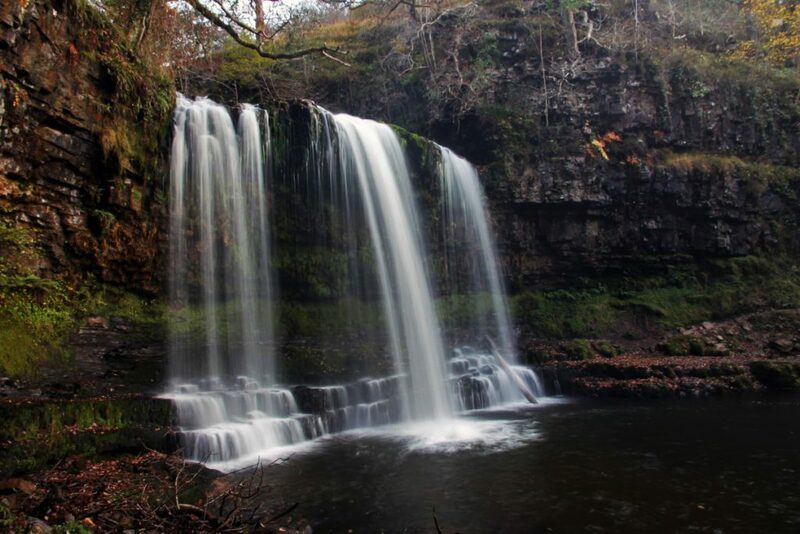 Dragons, King Arthur, medieval castles, prehistoric tombs, a rugged coastline and an unintelligible language: for me, Wales always had this certain mythical feel to it. Since I visited the Pembrokeshire coast with my parents maybe 20 years ago or so, I just knew I had to come back one day. Even though Pembrokeshire was stunning, it simply isn’t representative for the rest of the country. Seriously, Wales has so many different faces to it that I think there isn’t any region in this country that can be seen as “representative”, or “typical”. For example, when standing in front of the Pierhead Building in Cardiff, who would ever suspect there is a 2000 km² wide massif of 1000m-high rugged mountains only 250km to the north? 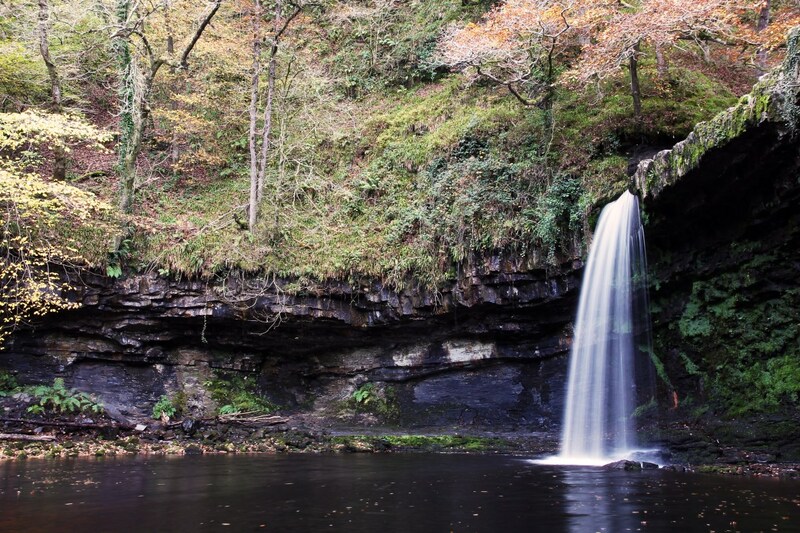 Or when walking through the forests in Brecon Beacons NP, who would imagine it’s possible to spot a pod of playful dolphins from a cliff edge only 150km to the west? 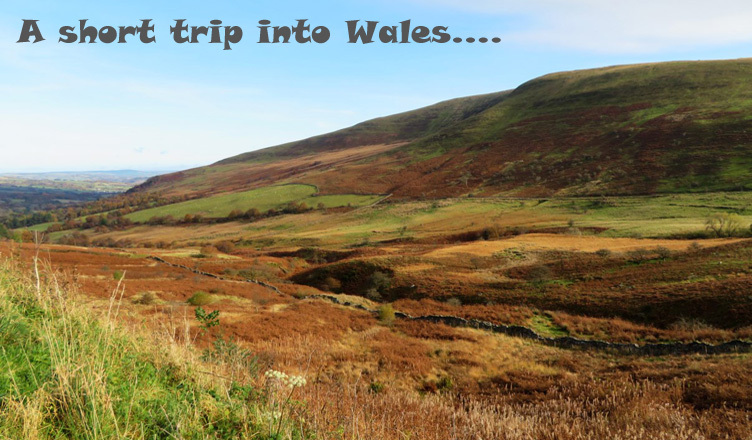 There is so much to be seen in Wales, and so many things to experience, that it’s also quite impossible to decide which region you would like to visit on your next trip through the country. 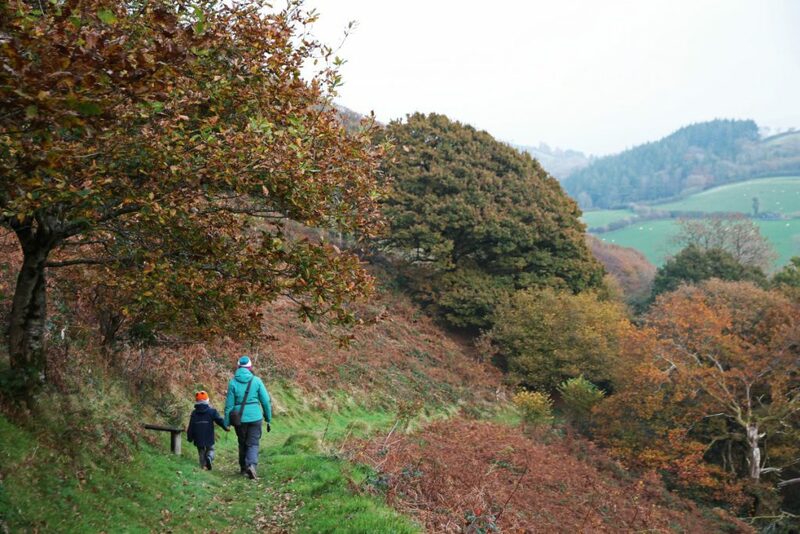 We traveled to Wales last year during the autumn half-term holiday. 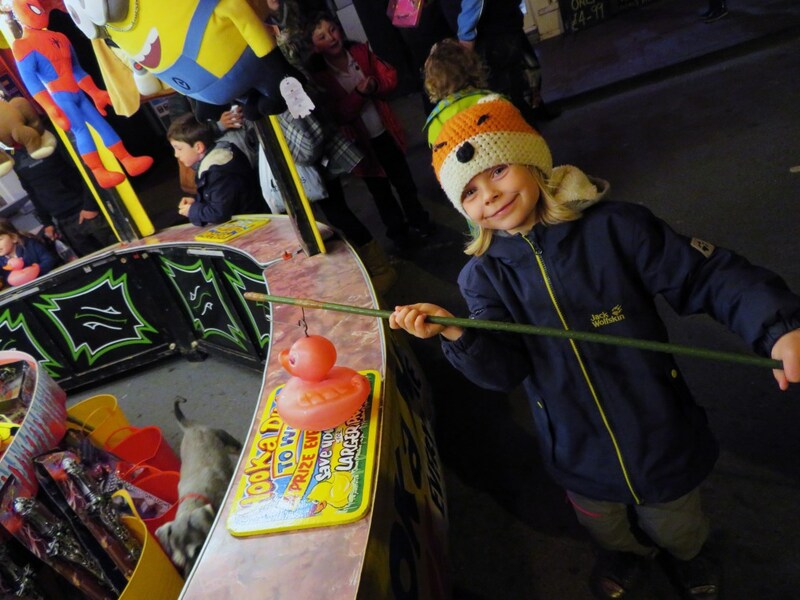 We only had one week at our disposal, which pretty much narrowed down our options. 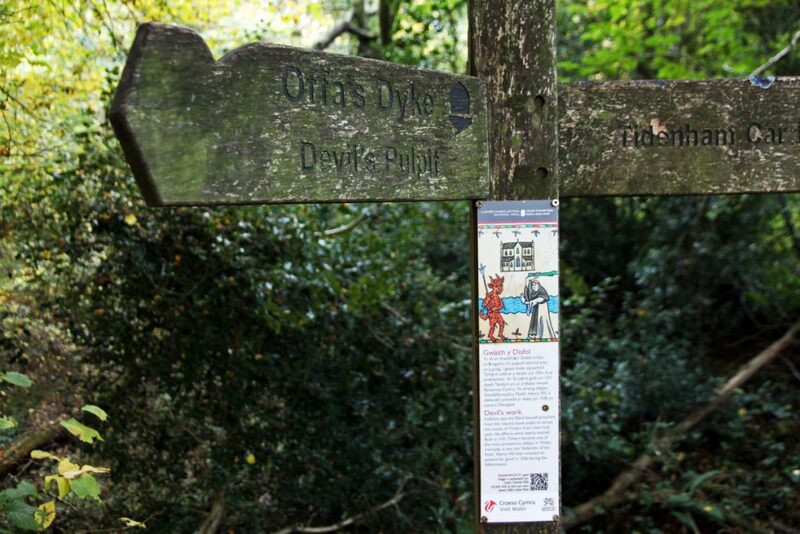 Since we also desperately wanted to go to the city of Bath on the same trip, we decided on visiting the Brecon Beacons NP and its eastern neighbour, Offa’s Dyke National Trail. The way to Offa’s Dyke Path. 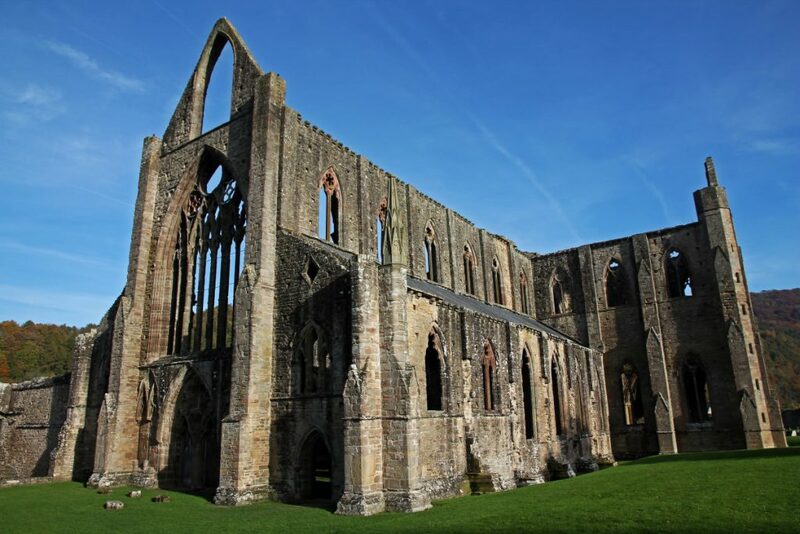 Coming from Bath, we first headed to Tintern Abbey on the banks of the river Wye in Monmoutshire, which is no more than a 45 minutes drive away from the Brecon Beacons. This Cistercian abbey was founded in the 12th century. It has seen a lot of rebuilding and expansion during the following centuries (most of what is left now was constructed in the 13th century), and it was finally dissolved under the reign of Henry VIII in the 16th century. The stripped and weathered skeleton of the abbey had such a romantic and picturesque quality to it that it frequently appeared in literature, poetry and paintings throughout the years following its dissolution. 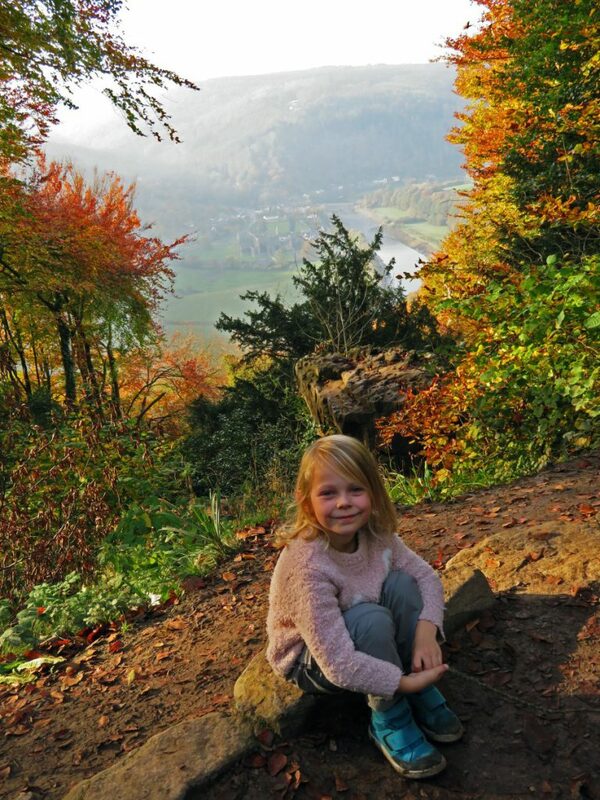 We wanted to combine a visit to the abbey’s ruins with an easy walk up to the Devil’s Pulpit, a small limestone pinnacle somewhere up the hills around the river Wye, from where you have a splendid view over the valley and its abbey. You can find our itinerary here. 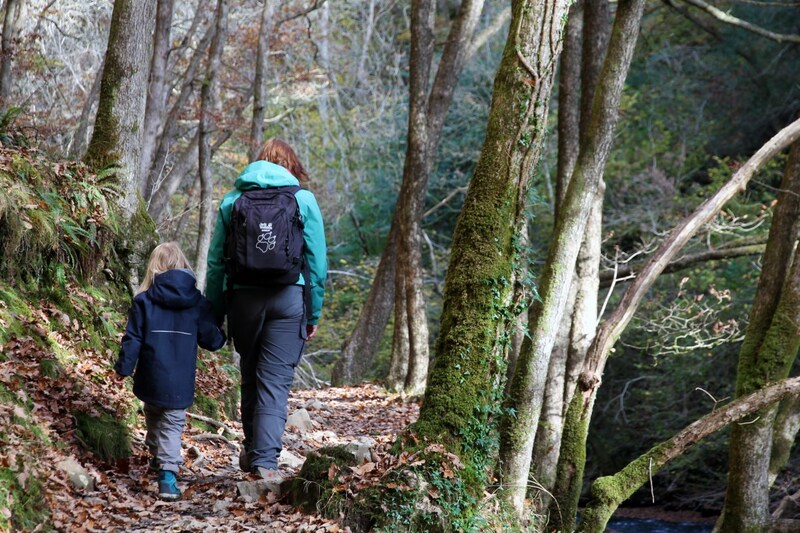 The walk through the forests has a few short, steep ascents but even Febe (our 6-year-old daughter) could do it. 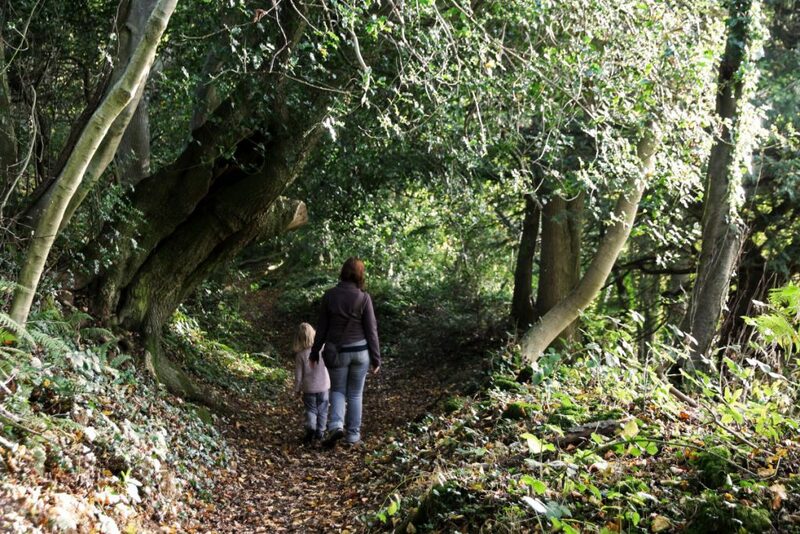 On our way to the Devil’s Pulpit. View from the Devil’s Pulpit. 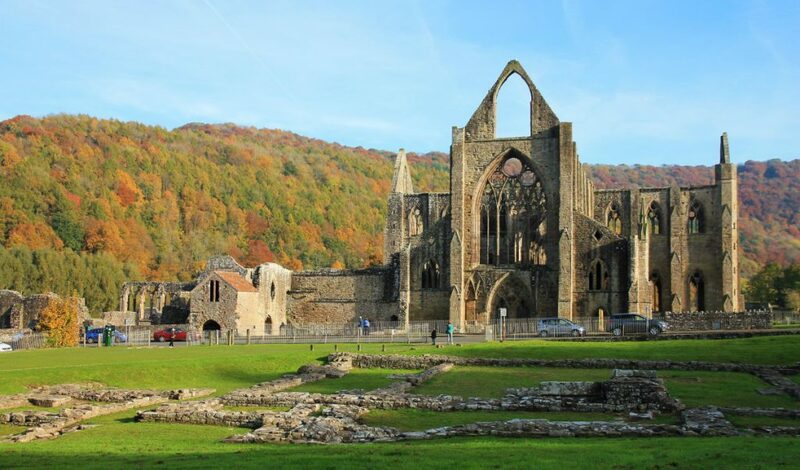 You can spot Tintern Abbey in the valley below. 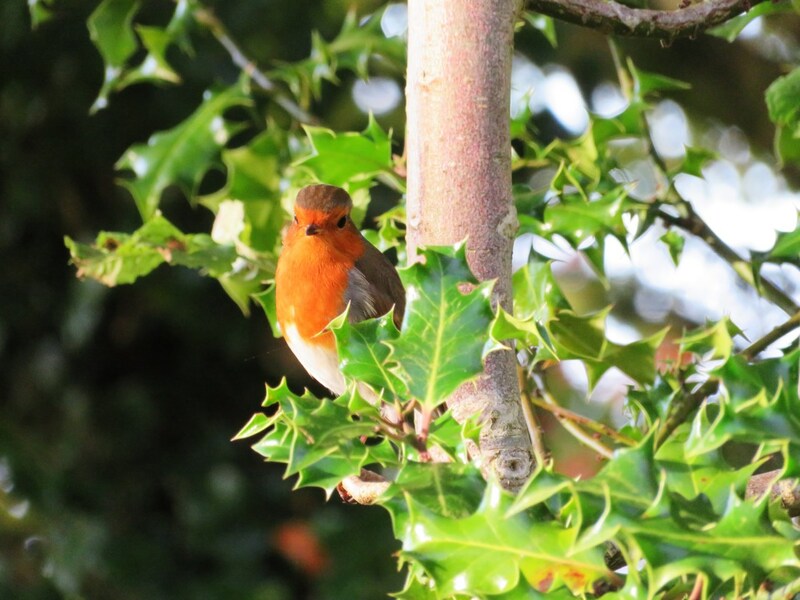 This robin redbreast kept us company at the Devil’s Pulpit. 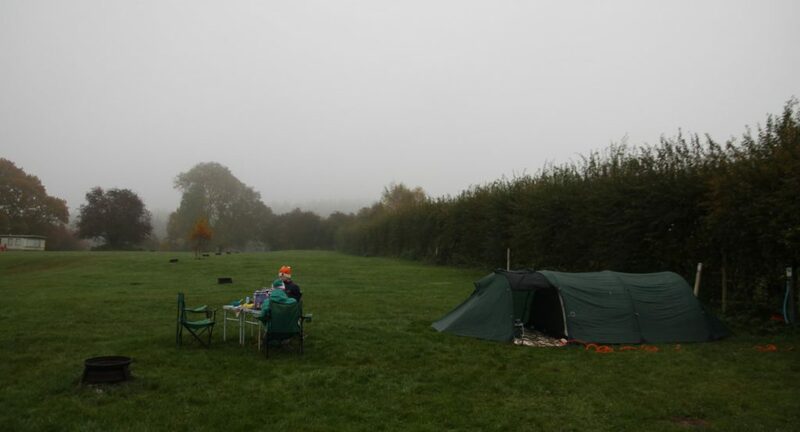 Our stay at Beeches Farm Campsite was very humid and grey. 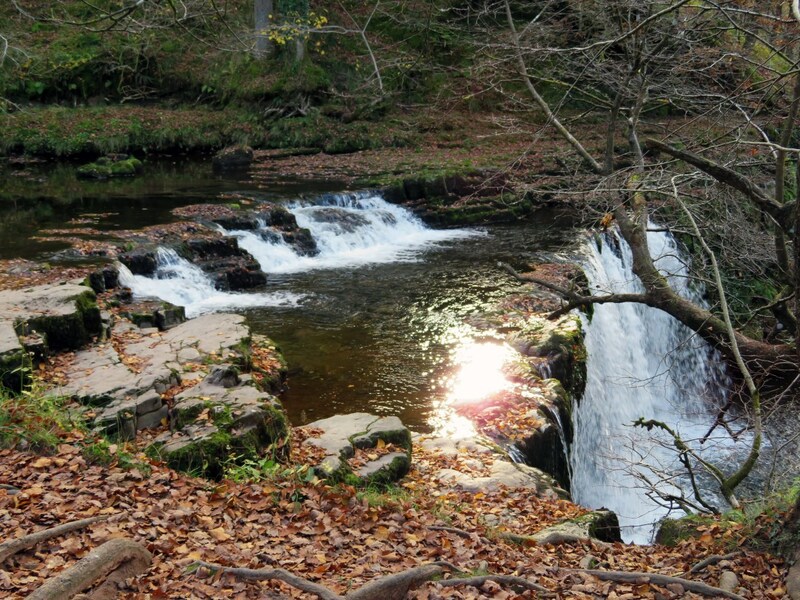 The Elidir Trail starts at the former Waterfalls Centre in Pontneddfechan and follows the Nedd Fechan river until it reaches a bridge called Pont Melin-Fach. There is an excellent audio guide with information on the history and geology of certain points along the first part of the trail, up to the confluence with the river Pyrrdin. You can download it here. Only a short (5 minutes) walk up the Pyrrdin river takes you to the 6m-high “Lady Falls” or Sgwd Gwladus. Personally, I think it’s one of the most beautiful waterfalls on the trail. 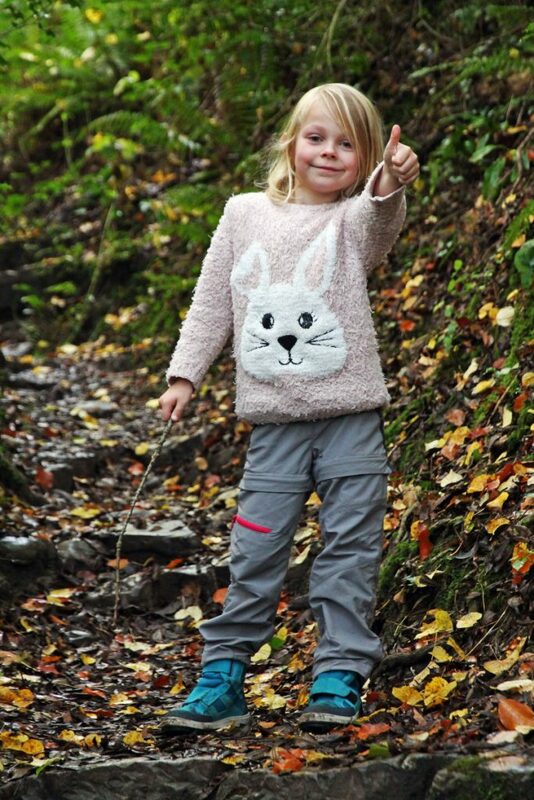 On our way to Sgwd Ddwli Uchaf. 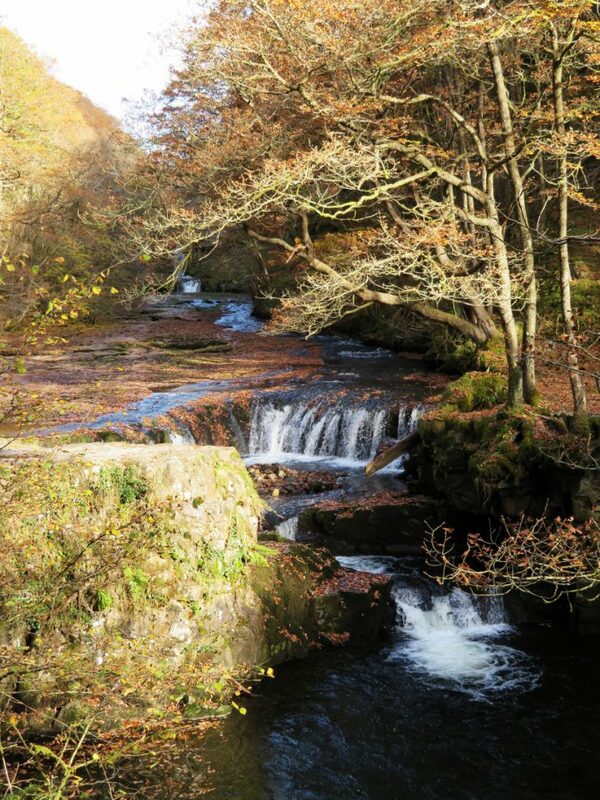 Sgwd Ddwli Uchaf as seen from above. 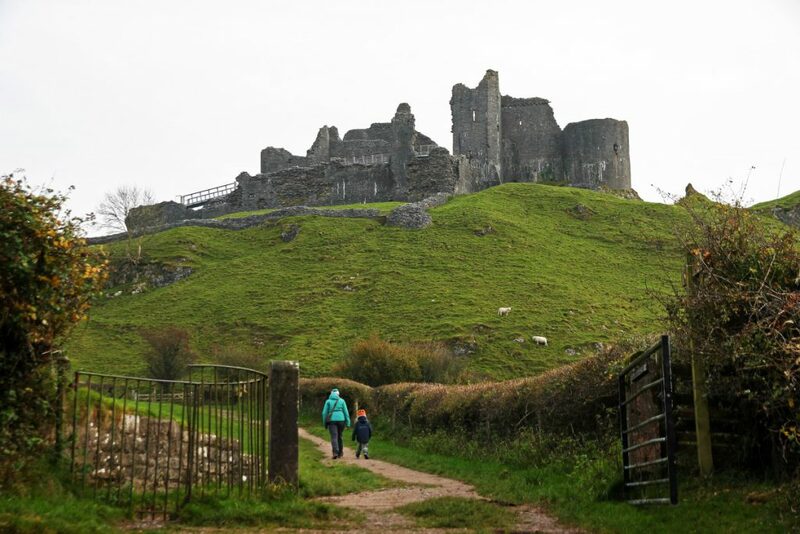 Another highlight in the Brecon Beacons is the Carreg Cennen castle. This weather-beaten ruin can be found in the western part of the National Park. Constructed high up a rocky hilltop in the 13th century, the heavily fortified castle was built to be easily defended against any kind of attack or siege. It was nevertheless demolished during the Wars of the Roses in the 15th century. When seen from below, the heavily damaged walls look dark and grim but the castle’s position on top of a limestone crag is so spectacular you can’t help but stand in awe of this medieval masterpiece. 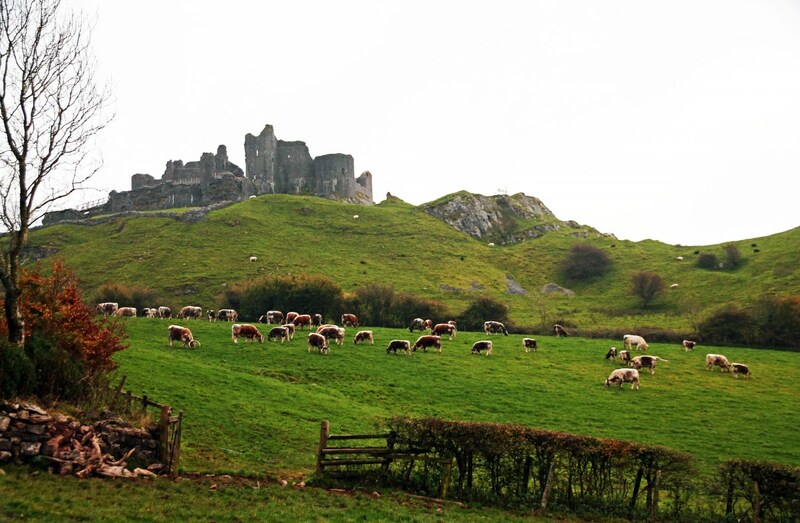 Dark and grim on top of the hill: Carreg Cennen castle. We chose not to climb all the way up to the castle but settled for a short walk around it, which was certainly a pleasant alternative. There are a number of walking options around Carreg Cennen, which you can consult here. 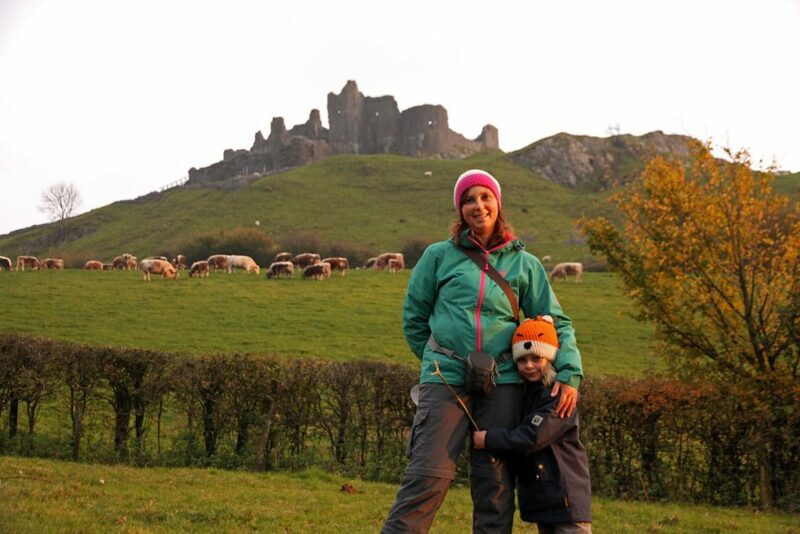 Starting our walk around Carreg Cennen. Posing in front of the castle. Late afternoon. 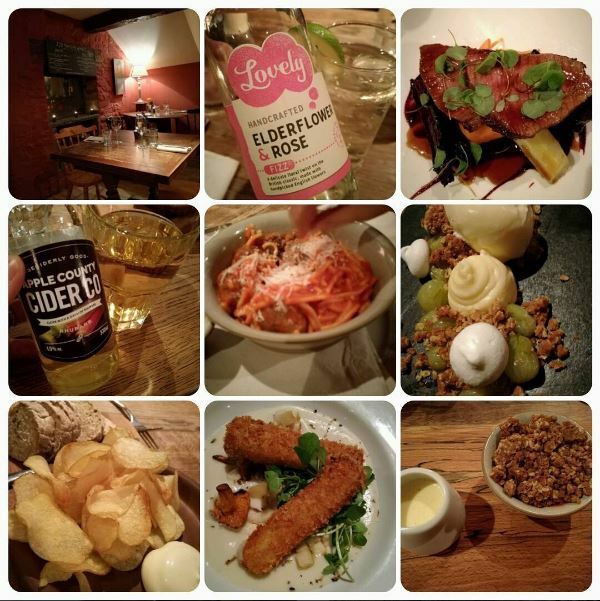 If you are getting hungry and you would fancy a first-class, gourmet pub meal, we would definitely recommend The Felin Fach Griffin just north of Brecon city. This award-winning inn slash hotel was named Dining Pub of the Year for Wales for the 6th time in the last 7 years! With such an impressive record of achievements, you would maybe expect some cockiness among the owners. But not at The Felin Fach Griffin! On the contrary, they stay true to their philosophy “the simple things done well” , which means you get a splendid meal in a rustic, uncomplicated setting. Highly recommended! 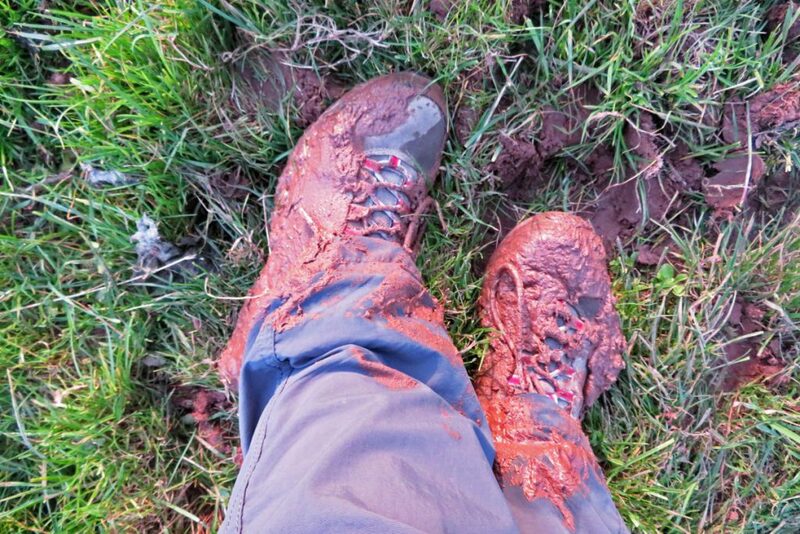 The Felin Fach Griffin: a superb experience!